SM Arnold One Pass Y-Bar Design Waterblade 14"
You asked for it, you got it… The ORIGINAL Water Blade is back! From the inventor and patent holder of the T-Bar Silicone Water Blade as it was originally produced in 1996. Back then you knew it as “The Original California Water Blade”… now it’s simply the Original Water Blade – USA. Any other product for cleaning pet hair from the fabrics in your life. Special Features: Quickly Drying without scratches. Material Type: Silicone blade PP handle. The images are for reference only. 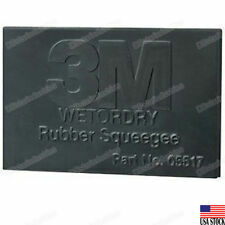 As sanding swarf, sludge and water accumulate, the 3M Rubber Squeegee hugs the surface to wipe away the material that obscures your view of how the work is progressing. The squeegee is sturdy enough to plow through sludge, yet soft and flexible enough to be gentle on the surface. Due to the shorter height of this model, it doesn’t wrap around curvy surfaces as well as the Classic Waterblade or Superflex Waterblade, but is fantastic for small cars, all types of flat surfaces and especially windows & mirrors. Triangular Squeegee Car Window Tint Tool Installation - SAME DAY SHIPPING! 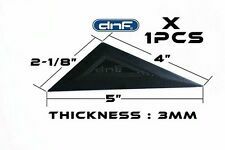 DNF TRIANGULAR SQUEEGEE. High Quality, Versatile Squeegee Tool for Hard to Install Window Film Corners. Squeegee Features PERFECT FOR INSTALLING hard to access corners of window film deep gaskets. Liquid X Original Rapid Dry Towel - Extra Large 50" x 30"
The original Rapid Dry Towel was designed in new Zealand by a car enthusiast obsessed with speeding up the car drying process. Unable to find a suitable product, he decided to make one for himself. All you need is the Rapid Dry Towel! (2PACK)Triangular Squeegee Car Window Tint Tool Installation - SAMEDAY SHIPPING! The WaterBlade features a soft, 12" non-scratch silicone blade that is designed to safely remove water from almost any surface. Its ergonomic design makes it easy to hold and operate. It also features tapered sides and a gentle silicone blade that won't scratch surfaces making it safe for all paint finishes, fiberglass, windows and more. 1 Felt Edge Squeegee. This tool is made from polypropylene soft plastic. These squeegees can quickly and effectively remove the air bubbles produced during the film pasting. This will help adhesion of your film on your project. One Pass® Patented Y-Bar(TM) edge sheds water droplets easier. Includes adjustable extension handle adapter. 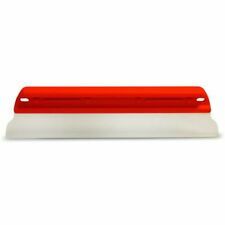 Deluxe Plastic Professional Squeegee with Solid Plastic Handle. Lot of (50). The ergonomic handle is easy to hold and operate without fatigue. Handle is tapered in at the sides so you don't accidentally scuff it against your paint. So effective, you can finish your entire vehicle with just a Waterblade and a single good sized microfiber waffle towel for touch up. 11" One Pass Soft-N-Dry Waterblade. The unique patented T-Bar edge and soft silicone construction of the blade is designed to easily remove water from almost any surface. The blade will conform to the contour of the surface you are drying and the T-Bar will collect and remove the water with very little effort! 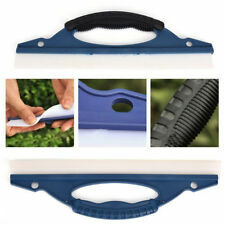 Deluxe Plastic Professional Squeegee with Solid Plastic Handle. Professional Use for Gas Station, Fleet Service, Household, etc. 1pcs 12" Silicone Squeegee. The Water Blade features a soft, 12" non-scratch silicone blade that is designed to safely remove water from almost any surface. It also features tapered sides and a gentle silicone blade that won't scratch surfaces making it safe for all paint finishes, fiberglass, windows and more. Adjustable Extension Handle Adapter. Easy to Use: Slide this slick adapter onto the Classic Style Waterblade. Standard US Thread Fits Virtually Any Pole – Handle. 5 Piece set of Felt Edge Squeegees. This tool is made from polypropylene soft plastic. These squeegees can quickly and effectively remove the air bubbles produced during the film pasting. This will help adhesion of your film on your project. 5 Piece set of 5" Felt Edge Squeegees. This tool is made from polypropylene soft plastic. These squeegees can quickly and effectively remove the air bubbles produced during the film pasting. This will help adhesion of your film on your project. Material: PP, Silicone. Rate (item arrived). Canada Rate (item arrived) 0.0% 47.1% 31.4% 17.6% 3.9%. 4" Felt Edge Squeegees. - 5" Felt Edge Squeegees. This tool is made from polypropylene soft plastic. These squeegees can quickly and effectively remove the air bubbles produced during the film pasting. At Modern Domus we also give you two extra Microfiber Cloths for FREE! Need more?. You’ll find them by pasting B07F2SFJW4 into your Amazon Search. EASY PEASY MAGIC SQUEEGEE: Your microfiber cloths are 100% Machine washable for super simple clean up once the window washing is done. We carry a full line of Greenworks products and accessories to make your life easier. At Greenworks, we have you covered! That's the Power of Greenworks. Box Contains • Clean windows effortlessly. 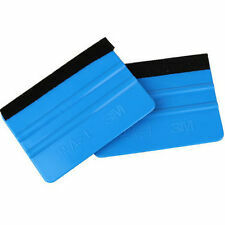 Flexible, sturdy rubber used for removing slush created when sanding or applying glazing putty and plastic filler. New right out of the box. 1 Piece 5" Felt Edge Squeegee. This tool is made from polypropylene soft plastic. These squeegees can quickly and effectively remove the air bubbles produced during the film pasting. This will help adhesion of your film on your project. 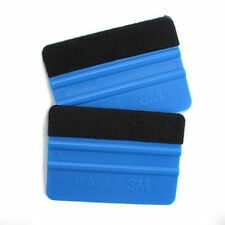 2 Piece set of 5" Felt Edge Squeegees. This tool is made from polypropylene soft plastic. These squeegees can quickly and effectively remove the air bubbles produced during the film pasting. This will help adhesion of your film on your project. 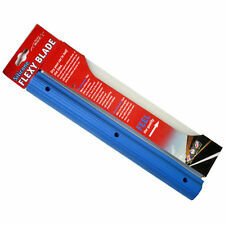 Deluxe Plastic Professional Squeegee with Solid Plastic Handle. Lot of (12). Waffle Weave Pocket Microfiber Drying Towel - 25" x 36"
18" Waterblade with Adjustable Handle Adapter. Includes adjustable extension handle adapter that fits onto a standard threaded pole or extension pole. (Does not include pole). The One Pass Patented Y-Bar edge sheds water droplets easier. 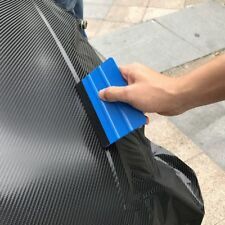 The blade is made of the silicone material, can prevent car window from being broken and abraded. Material: Silicone&Plastic. 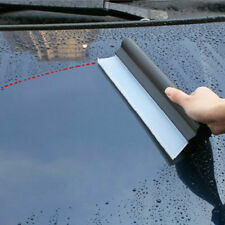 Quickly scrape dry water stains and protect car paint. 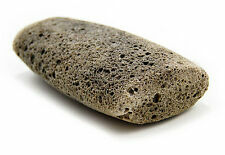 1 Car Water Scraper Tool. Applying your own vinyl decals?. Original Waterblade, Classic Style 18" Silicone T-Bar design. Patented! Originally with a straight blade 12″ wide, this model features a wider handle and 18″ silicone blade. Available in our Traditional T-Bar style (this one) or the new, Y-Blade style. Patented T-Bar edge removes over 90% of standing water. This applicator is inexpensive solution for variety of jobs. 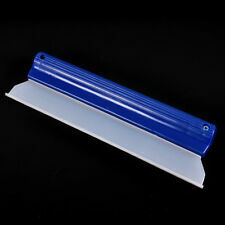 It is reusable squeegee-type applicator. When hand applying film or premask, this tool is the perfect solution for FRP or other textured surfaces. Applying your own vinyl decals?. The soft edge will protect surface & vinyl from scratching, marring & air pockets. VINTAGE ANTIQUE BRASS STECCONE MASTER LARGE SQUEEGEE 21.5"
OAKLAND CALIF. SEE PICS, RUBBER IN PLACE.